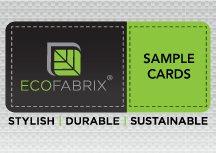 Sample Cards are available individually or as a full set of all cards. 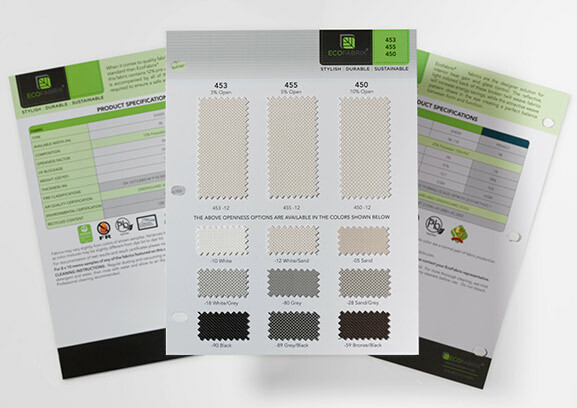 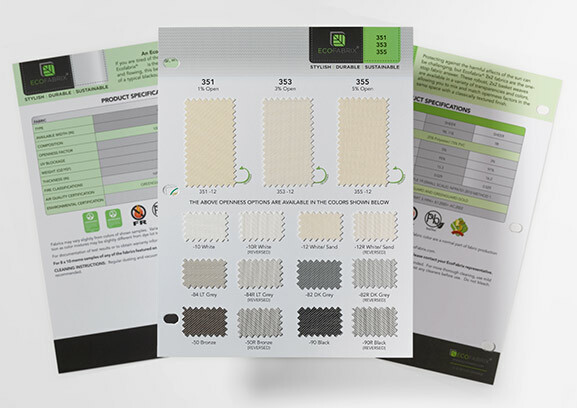 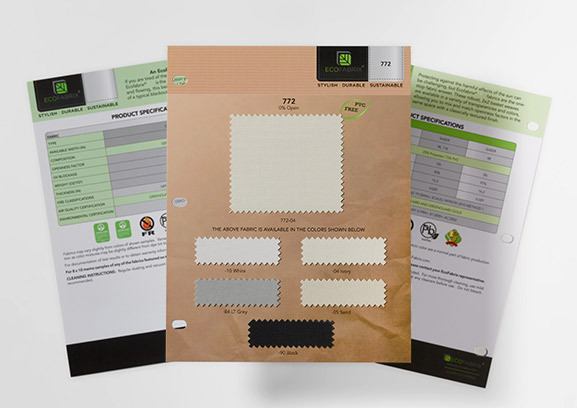 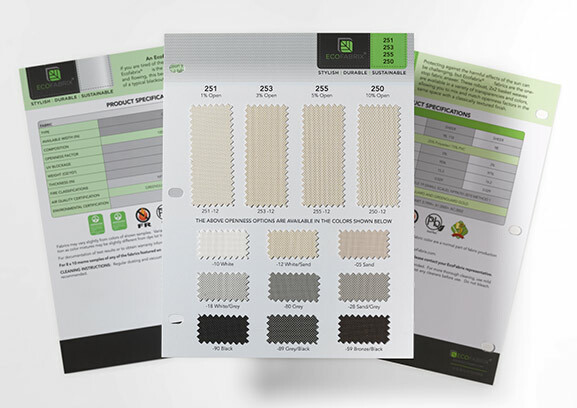 They contain small samples of each color available within a fabric series, and may contain various openness factors on one card. 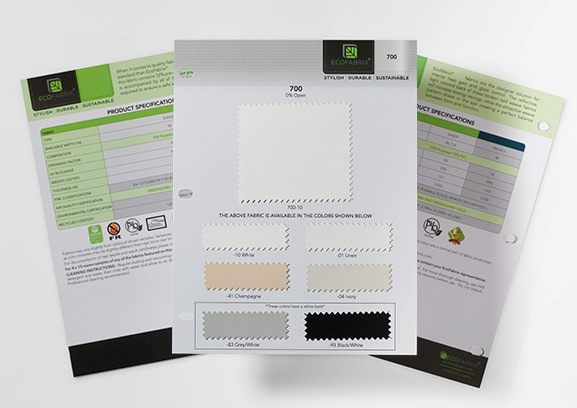 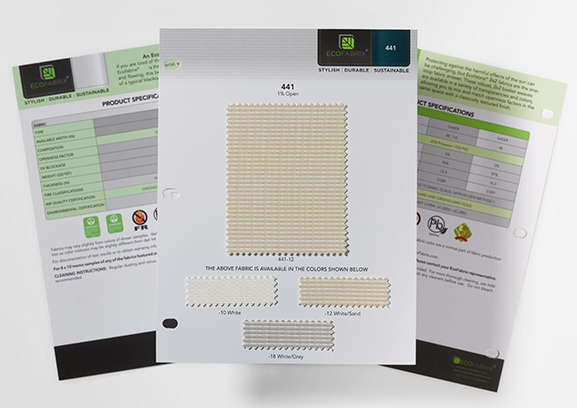 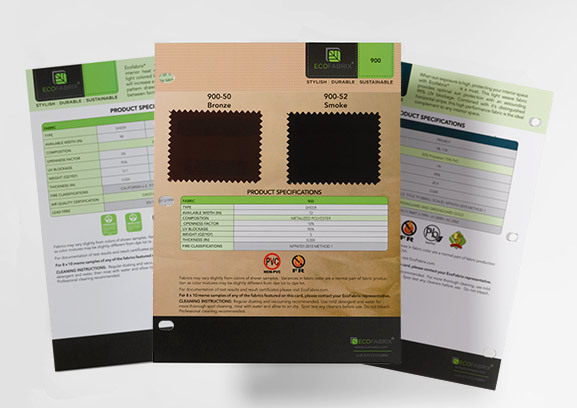 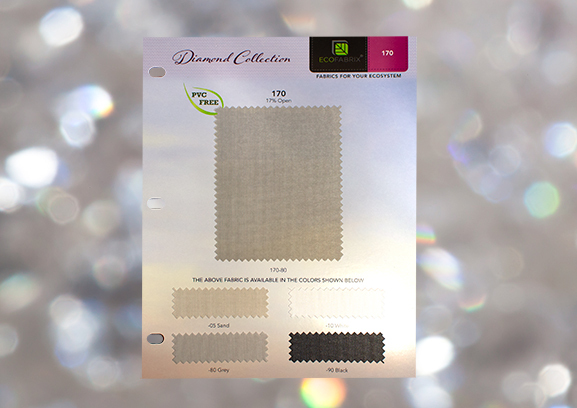 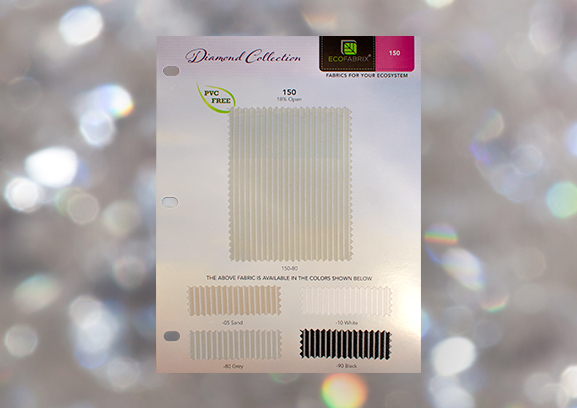 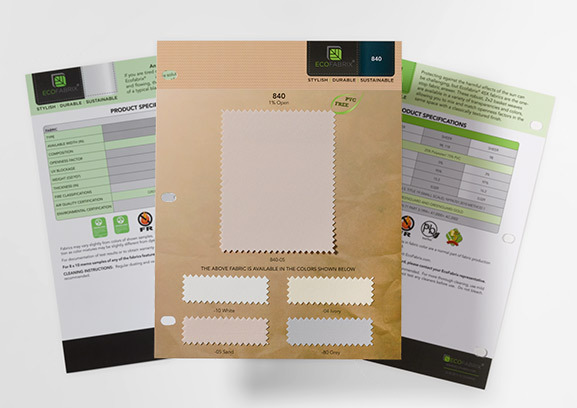 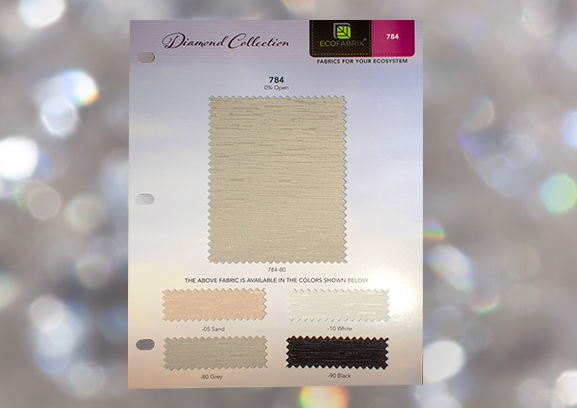 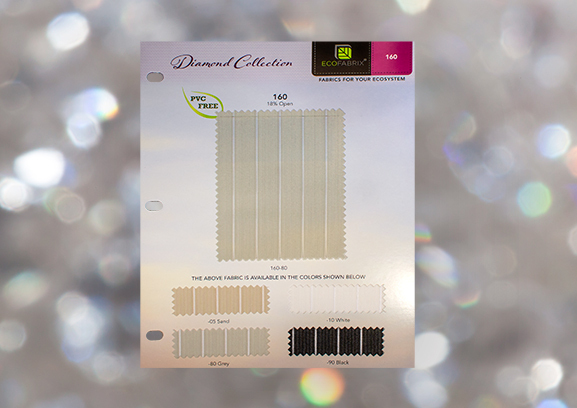 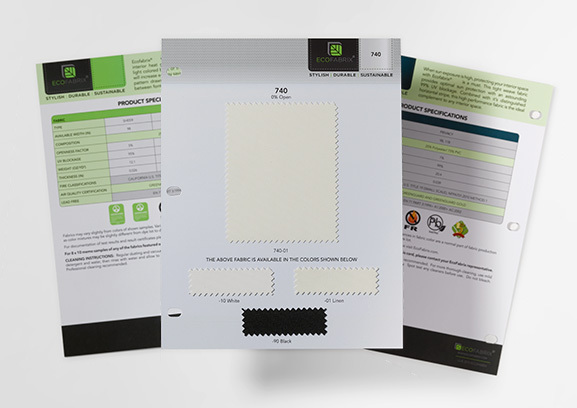 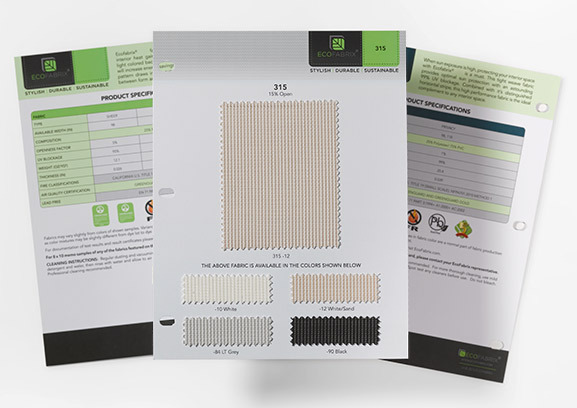 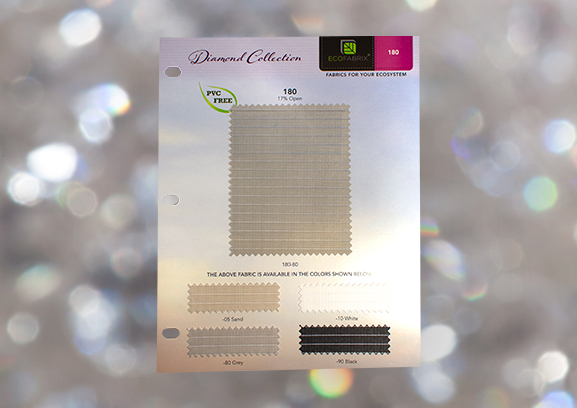 The backside contains all the relevant data for all fabrics featured on the card.